No matter where the watts come from—grid, fuel generator, solar panels, wind, other renewables (a watt, is a watt, is a watt! )—the ironclad rule of power generation applies: power generated in the circuit must be greater than or equal to the power that will be consumed in the circuit. Have you ever sat on the floor in an aisle or near a trash can at an airport so you could be close to a power outlet to recharge your personal electronic devices? 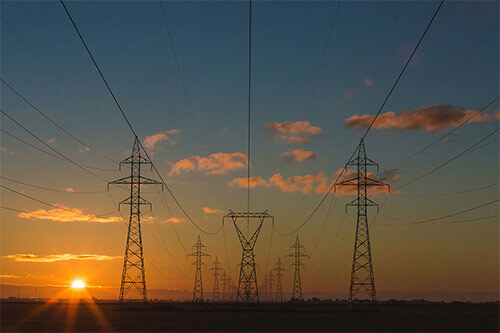 Traditional power supply systems—”grid” energy—require a physical connection to the power source involving many conduits (such as electric lines) that branch out from a centralized source (such as a coal or nuclear plant) where the power is produced. This centralized system allows for efficiency and steady supply, but is necessarily limited by the placement of its conduits; if the infrastructure is not in place, power cannot be served. All vehicles have electrical systems that are great sources of power when available. A vehicle’s 12 V cigarette lighter adapter (CLA) can be used to charge mobile phones or to power small inverters or other 12 V devices. 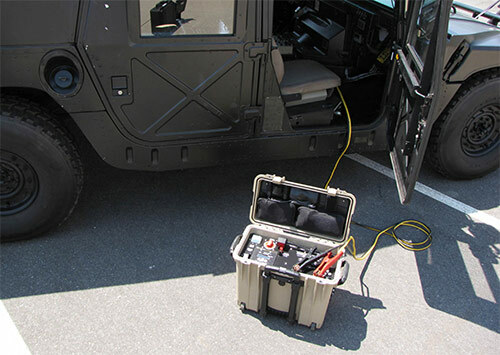 Vehicles also have batteries that can be connected to directly, and some military vehicles have NATO slave adapter power ports that provide 24 V charging options. Power often can be siphoned from an operating generator when it is convenient to do so. A fuel-driven generator converts the energy stored in liquid fuel into a usable electric output capable of powering applications up to its rated output. 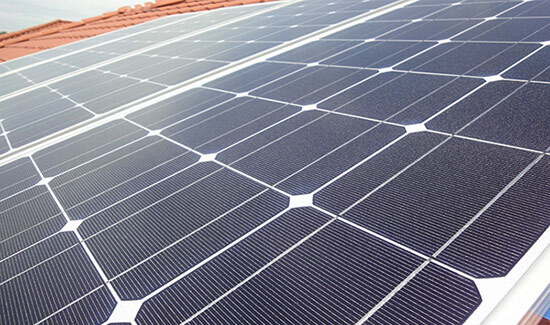 A solar (photovoltaic, or PV) panel harvests power from the environment. Solar panels will generate power anytime there is daylight, even on a cloudy day, making them a guaranteed power source. 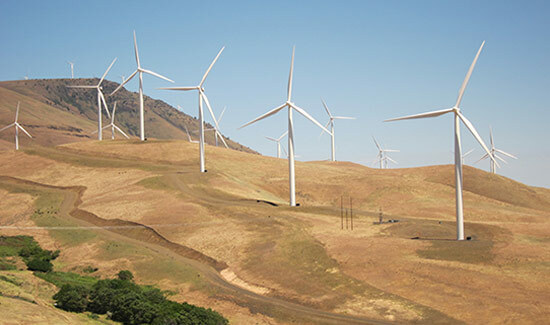 High-wind environments—mountaintops, plains—are suitable locations for using wind as a primary power generation source. In other environments, or for overnight power generation, wind is a good secondary power generation source. Fuel cells convert chemical energy into electrical energy. Whether used in the space shuttle or a small, portable power system, fuel cells produce electricity as a byproduct of the process of turning hydrogen and oxygen into water. 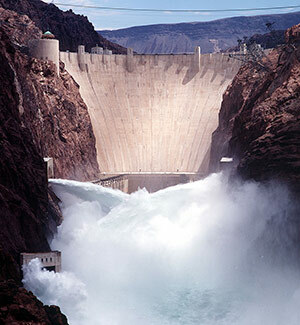 Hydroelectric power requires water currents (streams and rivers) that turn a turbine to generate power. A small, portable hydroelectric generator can be deployed in a flowing stream, or even towed behind a kayak. Hydroelectric generation can be coupled with other power generation options, or it can be used on its own. For example, if a provincial reconstruction team in Iraq deploys to a remote region with a source of flowing water, the team could employ waterpower generation. The purpose of STIKopedia is to explain the pieces of the portable power model. The Power Generation puzzle piece is multifaceted. It’s possible to use hydroelectric, fuel cell, and other power generation sources for portable power systems, but in this Power Generation module we focus on traditional fuel-driven generators, solar (photovoltaic) panels, and wind power because these sources are commonly used in Solar Stik systems. 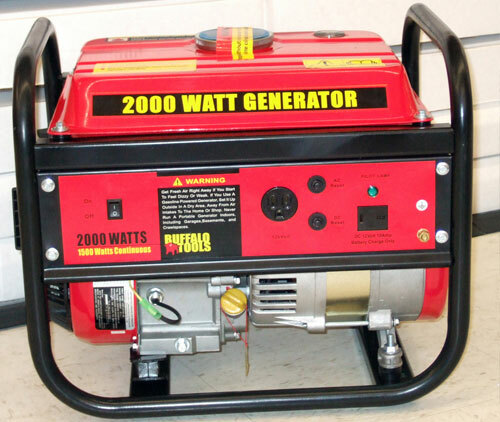 The portable, fuel-driven generator is still the primary mechanism or tool used in portable power applications. 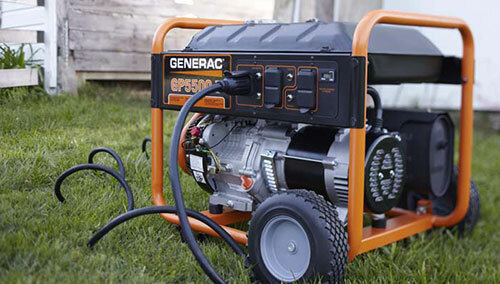 Users often choose fuel-driven generators for convenience. 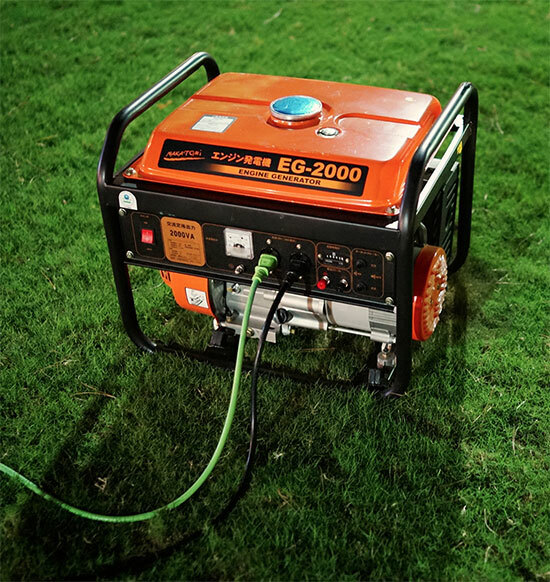 Powering appliances with a fuel generator is simple: just turn it on, plug in appliances, and refuel as needed. Power generators today are rated by their respective manufacturers according to the maximum possible power output. For example, a 3000-watt fuel-driven generator has a maximum power output of 3000 watts (3 kW). Fuel-driven generators are effective for temporary power production; however, they are poorly suited for long-term power requirements because the cost to operate a fuel generator is dependent primarily on its runtime. Many fuel generators are built to run at a single speed, and they are often inflexible with regard to power output and fuel consumption. Such generators must run continuously in order to supply power to connected appliances, even if the power required is minimal or intermittent. When an appliance requires less than the rated output of a fuel-driven generator, the generator wastes fuel, as it will continue to convert the energy of the fuel into usable electricity, even if it that energy is not being used. All portable power generators—whether driven by traditional fuel, solar or wind energy, or alternative fuels—have their limitations. Understanding the capabilities of each power generation source is key to identifying the best technology or technologies for the application. Also known as motor efficiency, engine efficiency is the relationship between the total energy contained in the fuel and the amount of energy produced that is actually used to perform useful work. When a fuel-driven generator (gas or diesel) is the primary source of power in a closed circuit, it must operate continuously to provide electricity to the appliances (loads), even if the requirements of the loads are minimal or intermittent. 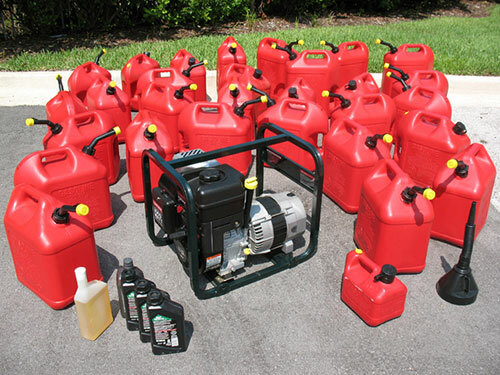 Using a gallon of diesel fuel to rotate a generator to produce electricity includes many points of loss. Energy is used to overcome friction inside the engine (cylinder walls, crank, camshaft, and main bearings) as well as friction within the pumps, drive shaft, and loads on the generator. Heat is also a form of energy and is lost through the exhaust pipe, the engine block, and the radiator. As of today, fuel-powered generators still have an advantage over renewable generators. Liquid-fuel generators tend to be the most prevalent of portable power solutions because the energy density of liquid fuel is still the highest of all fuel options—outpacing solar, wind, and other renewable options—and because liquid fuel already benefits from having the infrastructure needed to bring it to an end user. However, these advantages are diminished when system efficiency and logistics are taken into account. 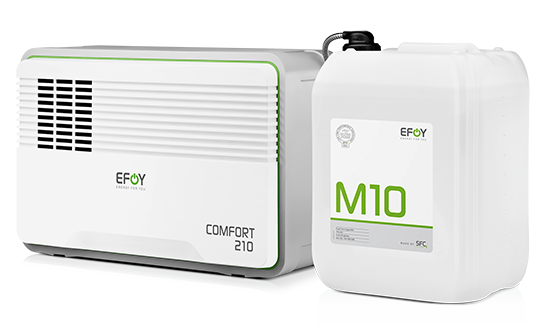 Most manufacturers guarantee fuel generators for only one to two years, because of the varying runtimes they may be subjected to and the subsequent derating of the generator. The overall costs of operating a traditional fuel-driven generator extend far beyond the initial purchase price. Operating challenges and costs are compounded if the generator is used in a remote location, after a disaster, or for long-term power applications. The cost of fuel cannot be calculated in dollars per gallon alone.